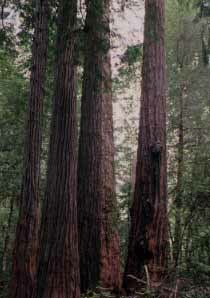 Some of the Northwest's largest hardwoods and old growth Douglas fir trees can be found on this one-mile loop trail. The slope is gentle, with two benches and two picnic tables along its length. To find the trail, take Jerry's Flat Road to the Siskiyou National Forest boundary at Lobster Creek Campground and turn right on Forest Road 3300090. Continue for exactly two miles and you will find the trailhead at the right, where you can pick up a brochure about what you will see.